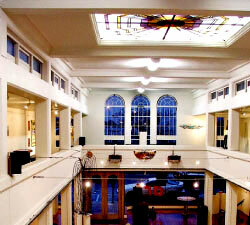 Every year the Community Arts Centre in Hastings runs its renowned Christmas Sales. A wonderful emporium where you can buy beautiful handmade gifts from over 100 local artists and crafts people, products which range from the very affordable to the very special. Each year it gets bigger and better and this annual sale has become a major event on the Christmas calendar. A few of our New Zealand Handmade members will be taking part in this, so if you are in the area drop in and take a look around... you are sure to find something on your list. Looking forward to checking it out for the 1st time today. It's rather an iconic art and craft event in Hawkes Bay.